SBS Monday and Tuesday drama “The Chaser” driven its viewership ratings all the way up by virtue of excellent plot. On June 13th, 2012, according to the survey of AGB Nileson, episode 6 of “The Chaser” aired on June 12th, 2012 scored the national average rating of 11.1%, an increase of 0.5% over previous episode. The thrilling plot of “The Chaser” is critically acclaimed, and it began to challenge the champion in viewership ratings, “Lights and Shadows”, which has seen its ratings dropped below 20%. Due to not starring by famous stars, “The Chaser” has been questioned if it can achieve good result when the broadcast began. The preceding drama had seen its ratings failed to exceed 10% despite starred by youthful lineup of Yoo Ah In, Shin Se Kyung and Girls’ Generation member Kwon Yuri, and eventually concluded with dismay result. 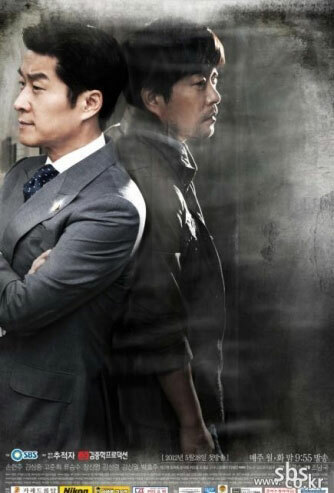 But by virtue of excellent script and skillful actors of Son Hyun Joo and Kim Sang Jung, “The Chaser” makes a great coup, easily exceeded the 10% mark not long after the premiere. What kind of result can be achieved by “The Chaser” built by wonderful script is worth the wait. Besides, broadcasted at the same time, MBC’s “Lights and Shadows” and KBS’s “Big” rated 19.1% and 7.9% respectively.